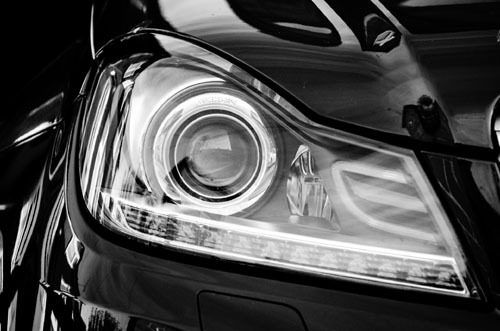 Headlight restoration is a specialty of Dings & Dents. Your headlights dim over time. In as little as three years, plastic covers will dull, looking hazy, cloudy or foggy from the UV light. It’s like giving your vehicle an immediate face-lift. You will be amazed when you see how much brighter those same headlights are after restoration! In addition to headlights, we can also perform the same headlight restoration techniques on tail lights and side markers.